Dennis Mathes is an acomplished songwriter and musician. He spent his early music career on the west coast where he did session work for Ion Records in Hollywood, California. He worked with such notables as Freddie Hart, Eddy Dean, Ray Coble, and Wynn Stewart. On visits back home he also did studio work at the legendary Alley Records studio in Jonesboro, Arkansas. He recorded with Rockabilly legends Larry Donn Gillihan, Bobby Lee Trammel, and Leon Gambill to name a few. After returning to Arkansas he worked with the Arkansas Opry playing steel guitar and continued to do session work back in Arkansas. Dennis's talents aren't limited to the steel guitar, he also plays bass, piano, and harmonica. 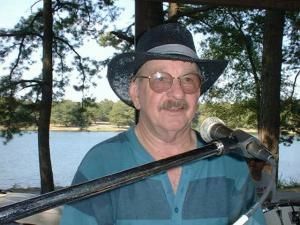 In the past few years he has teamed up with fellow Arkansas musicians Sonny Ackerman, Dave Pearson, and Ray Dacus to form the Big Creek Band.